This blog is for all stuff related to LXD, and Funtoo Containers. With the new Funtoo Compute Infrastructure (FCI), it will be possible to run your own LXD container daemon service inside you container. This gives you a multitude of options how to use your container to the limits. With this option you could "containerise" your services into smaller containers, for example running mail-server and web-server in a separate container and further limiting the harm done should one of your containers be compromised from the bad internet. The new FCI even supports running docker applications inside your container. In this club we are going to try to post some interesting tutorials as how to get you started with LXD in LXD and other things related to containers. For now I have compiled basic information on Funtoo Wiki about LXD and Docker in LXD. 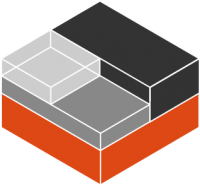 Funtoo Wiki: LXD in LXD Funtoo Wiki: Docker in LXD Please let us know what you think about the recent changes in FCI and about the upcoming features. Happy Funputing on your Funtainers!